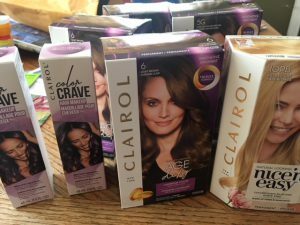 Have enough coupons that together with Ibotta refunds, these hair colors cost very little. Each seven hair colors purchased spits out another freebie, so between these and this BOGO Age Defy and Ibotta ($10 alone for Color Crave! ), my subtotal of $32.16 after coupons dropped $15 after rebates. And here you’re looking at the seven needed to earn another freebie.